Almost as enjoyable as the sound of a man tripping out in Yosemite Park at the sight of a double rainbow, (that viral YouTube hit of unbridled ecstasy has been causing no end of delight at The List) is the blissed-out, woozy, warm fuzz of Chaz Bundick’s multi-coloured glo-fi pop, coming to Glasgow this fortnight. The melted sound of beats left out in the sun, and colourful synths, guitar and vocals blurring into a summery haze were created in 23-year-old Bundick’s bedroom in South Carolina. 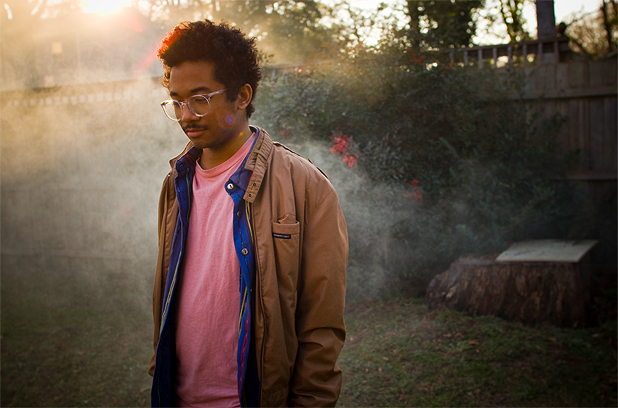 Like many of his young American musical peers, Ariel Pink, Neon Indian, Memory Tapes, Animal Collective and Washed Out (Washed Out’s Ernest Weatherly Greene is a good friend, and occasional collaborator of Bundick’s), Toro Y Moi trawls the 70s, 80s and 90s for soft indie riffs and electronic bleeps, then reassembles them into a glowing lump. Needless to say, the ‘chillwave’ and ‘hypnagogic pop’ labels have attached themselves quickly to Bundick. Although he doesn’t mind being bundled into a genre, particularly one with a name that makes many Brits do a full-body cringe, he prefers to call his music ‘naïve dance music’ after liking the term that Greene came up with. It was Toro Y Moi’s first album, Causers of This that first created a very justified buzz, with its chiming, bendy summer jams. But for a more lo-fi, simplified version of his music, this fortnight’s single ‘Leave Everywhere’ (Carpark) should give his fans something to swoon to before he gets round to putting out album two later this year. Dream pop from California-based musician Chazwick Bundick. Experimental pop from the American songwriter.